Your existing water-cooled ice makers use more water to cool the system than to make the ice itself. This cooling water goes straight down the drain! New, air-cooled ice machines use less energy and water and make ice more quickly and efficiently. 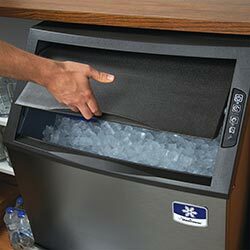 Click here for a list of rebate-eligible ice machines.